The galloping pony nestled in the grille serves as a reminder that the Mustang is most at home on the open road. 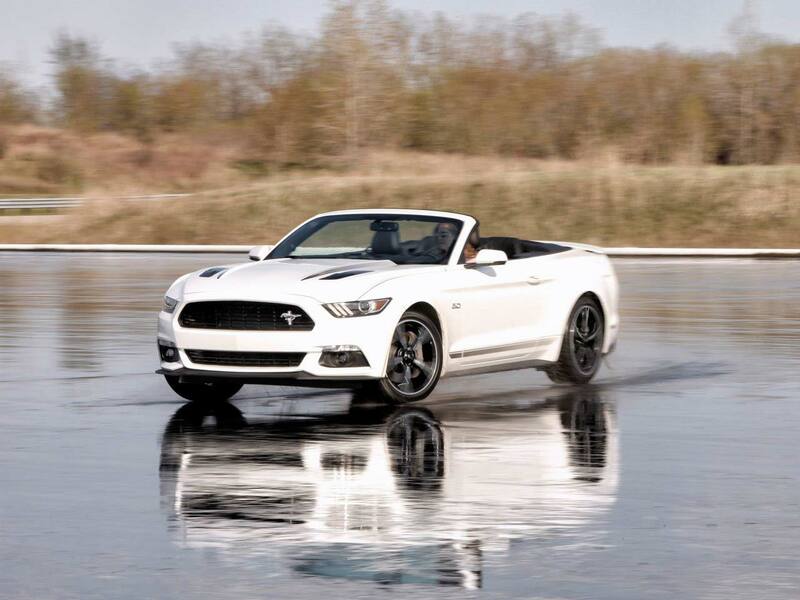 The convertible comes with a 310-hp turbo four; choose from a six-speed manual or a 10-speed automatic transmission. The rear-wheel-drive chassis is eager to attack corners while enabling a smooth ride when cruising. Rent a Ford Mustang convertible and give yourself the chance to take the wheel of a legendary vehicle. With its signature style and superior performance, you get a sporty, spirited ride – especially when you choose the Ford Mustang GT Premium Convertible a guaranteed model. An icon of the road – relish the power and feeling of freedom that only a Ford Mustang convertible car rental can provide. 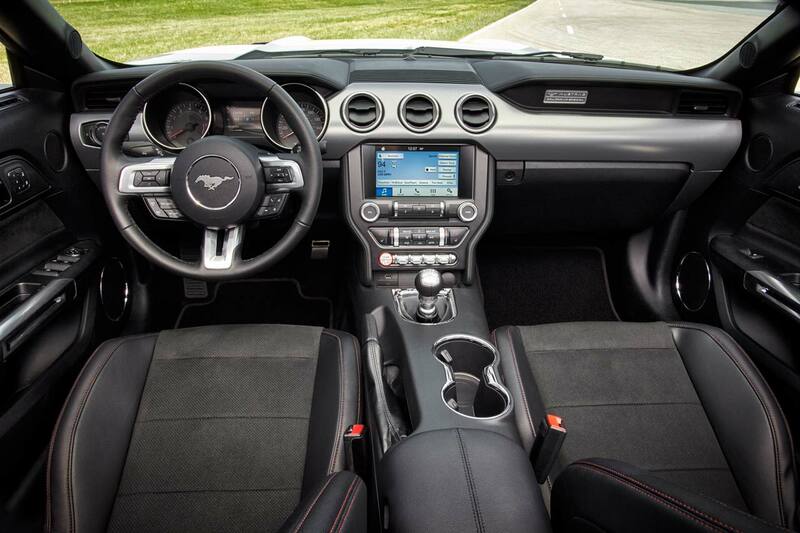 Comfort and Convenience: The cabin of the Mustang GT Premium convertible is outfitted with top comforts and amenities. Heated and cooled front seats help maintain the right temperature while covering the miles with the top down. The SYNC 3 system gives you an easy-to-use touchscreen that conveniently displays important info on its home screen. Tap, swipe, or give a simple voice command for a quick response to your demands. Modern Muscle: The 5.0L Ti-VCT V8 engine maximizes power while the exhaust delivers classic muscle car acoustics. Six-speed manual transmission allows you to go head first into first gear and keep up a smooth pace. Selectable drive modes allow you to customize the drive and get the dynamics you desire. Handling has also been improved due in part to its independent rear suspension. Play it Safe: The GT Premium Convertible is equipped with a number of features to keep occupants protected. Rev up and drive reassured with advancements like the Glove Box Door Integrated Knee Airbag, Personal Safety System and SOS Post-Crash Alert System. Being confident about safety doesn’t make the drive any less daring. 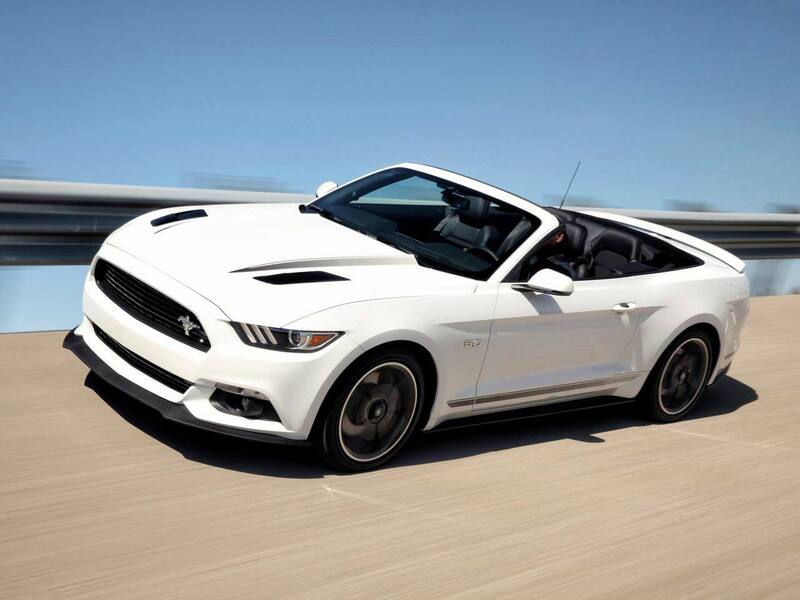 The Ford Mustang GT Convertible is also available as well as the standard convertible. With Rotana Star, this iconic and powerful American muscle car could be yours for a day, week or month. You can drive the ultimate American car, a Ford Mustang at competitive rates. 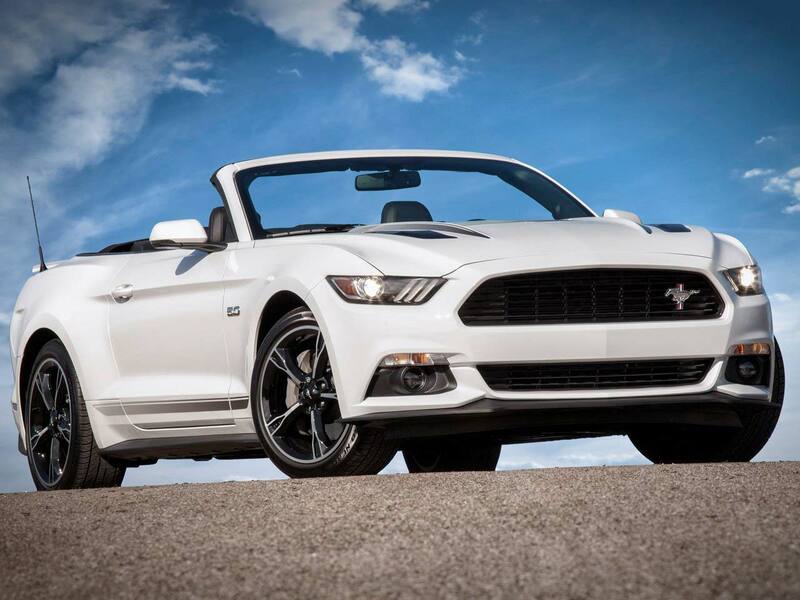 Due to the original pony car’s high demand, be sure to book your Ford Mustang car rental in advance.